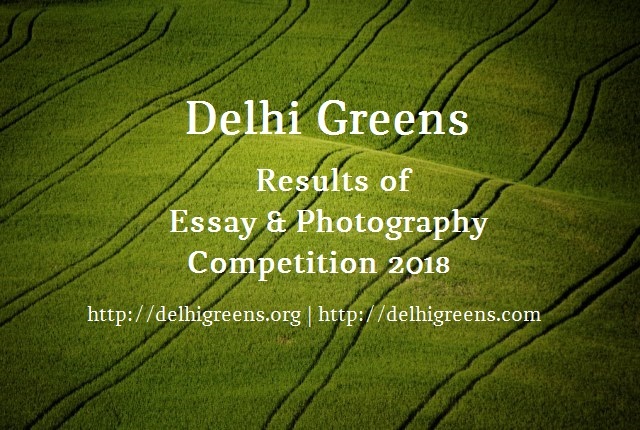 Delhi Greens had recently organised an Essay and Photography Competition along side the 4th Delhi Youth Summit on Climate Change (DYSoC 2018). The Results of this Competition have now been declared and are available below. The First Prize goes to Chingkheinganbi L. for her Essay on I Am the Change. The Second Prize goes to Sakshi Antil for her Essay on the Delhi of My Dreams. No third prize is being given in the Essay category. 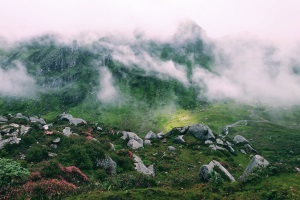 Caption: A Wonderful Work of Nature. Human beings often forget that the very oxygen we breathe is derived from the greens and destroy Nature without giving a single thought. It is a moment of awe to see this amazing creation of Nature which made the photographer realize that Mother Nature’s creation is precious and important and therefore needs to be conserved. Caption: It is not your cup of tea. 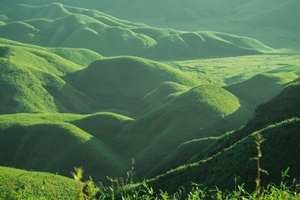 You are not even nepotic enough to present the jolly view of greens by taking efforts and spotting a seraphic location. But still when I see you caviling at the concretization, huddling with those leaflets (made from the macabre of the same greens) they handed you, tinkering with your phone camera and giving voice to their innate gloom from all your 17 years experience of life, I get a glimpse of green in you(th). Caption: Nature always wears the colour of a sprite. Congratulations to all winning entries. The winners will be contacted by email and the prizes will be dispatched shortly. 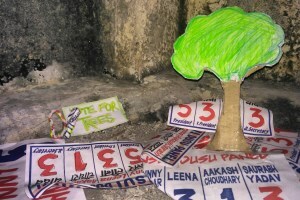 The winning entries will be published on the Delhi Greens Blog and on other relevant platforms subsequently. All entries that have not won an award are also being emailed with detailed comments and suggestions by the judges of the competition.